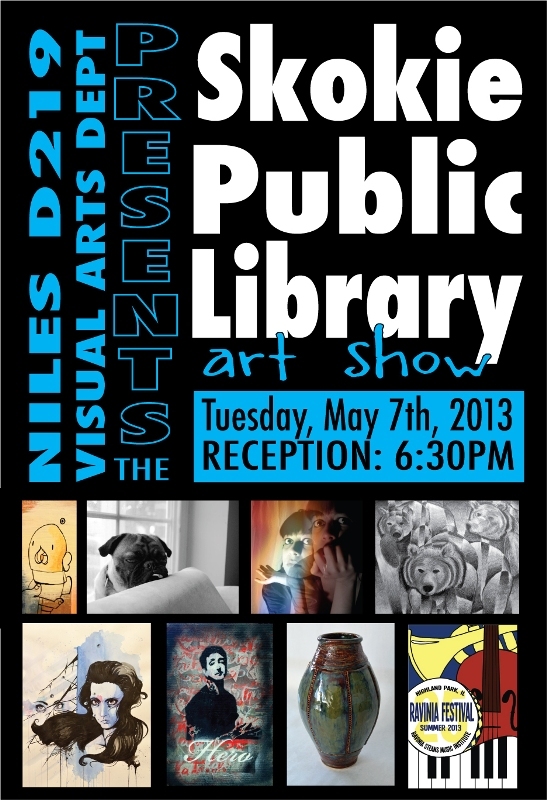 Come to the D219 art show tonight, Tuesday, 5/7. A reception will be held from 6:30 to 7:30pm and the show runs through May 23rd, 2013. You won’t want to miss the drawings, paintings, photography, digital artwork and sculptures. The artwork is located on the east side of the library in the gallery, the wall, upstairs and in the cases at the entrance. See you there! 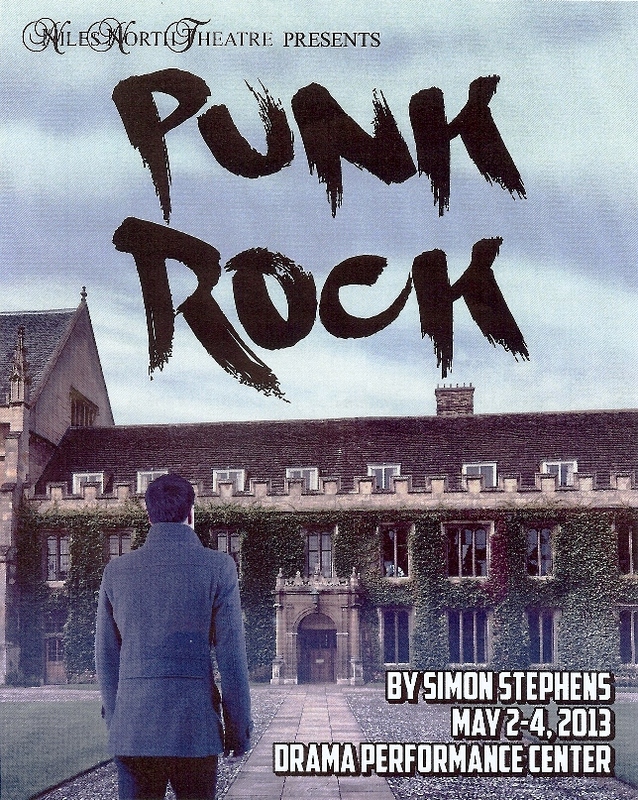 For the final production of the year, Niles North Theatre has selected “Punk Rock,” by Simon Stephens. The play is set in an English prep school and focuses on the intertwining lives of seven teenagers. They are appealing, appalling, pushy, posh, nerdy people one might find in any high school. But this combination is an emotional powder keg. Performances are 4 p.m. and 7 p.m. on Friday and Saturday, May 3 and 4 in the Drama Performance Center at 9800 Lawler, Skokie. Tickets are $10. There is no late seating in this venue. “Punk Rock” has adult themes and language. Call the Box Office at (847) 626-2122. 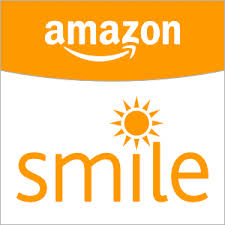 A free community performance will be held at 10 a.m. on Thursday, May 2. The cast includes: Ryan Loach as William Carlisle, Nina Roy as Lilly Cahill; Christopher Khoshaba as Bennett Francis; Emma Decker as Cissy Franks; Humza Abbasi as Nicholas Chatman; Athanasia Giannetos as Tanya Gleason; Nathan Selinger as Chadwick Meade; Camille Paskind as Lucy Francis; and Simon Gebremendhin as Dr. Richard Harvey. The technical staff/crew: Timothy Ortmann, Director; Annaliisa Ahlman, Technical Director; Teresa Ripley, Costume Designer; Barbara Reeder, Lighting Designer; Max Dolinko, Sound Designer; Brian Fallon, Hair Designer; Rachel Sepiashvili and Joanna Vaklin, Assistant Directors; Maddie Martin, Assistant Technical Director; Alex Hammond, Assistant Lighting Designer; Teresa Franks, Stage Manager; Sam Rosenfeld, Shop Manager; Erin Rourke, Costume Assistant; Sabina Dzelilovic, Properties Mistress; Emi Kanda, Sofia Ballicora and Julia Melnick, Promotions; and Anne Zavell and Stephanie Persaud, Production Assistants. This Wednesday, May 1st, Elmo Scott (from Urban Beat Dance) will be offering a 2hr hip-hop dance workshop from 4-6pm in the Dance Studio. All are encouraged to attend (no experience necessary). The cost is $5 with all profits being split between DM and Relay for Life! Wear clothes you can move in, and we will see you there! Brought to you by Deanna Sortino, NN visual arts instructor and Auroris director.